19/Arista Records artist Carrie Underwood will kick off the fall leg of her Play On Tour this Saturday (9/25) in Portland, Oregon at the Rose Garden Arena. The tour will play 47 cities before wrapping December 19 in Calgary, Alberta. By the close of this leg, Underwood will have performed over 100 shows throughout the U.S. and Canada on the Play On Tour in 2010. Special guests this fall are Billy Currington and Sons of Sylvia. Underwood will donate 36 cents of every ticket sold to Save the Children’s United States Programs. This initiative was inspired by the “36 cents” written in the lyrics of her album track “Change,” which addresses how even the smallest bit of spare change that one might have can add up to make a difference and help “change” the world. The three-month spring leg of the Play On Tour was performed in front of nearly 400,000 fans and nearly sold out all 54 shows throughout North America, bringing along special guests Craig Morgan and Sons of Sylvia. Underwood is a five-time Grammy Award winner, a member of the Grand Ole Opry, two-time reigning Academy of Country Music Entertainer of the Year, and three-time CMA and ACM Female Vocalist winner. 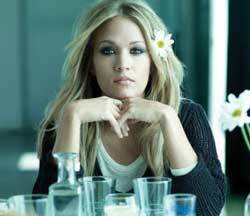 She has amassed more than 12 million in album sales since her debut CD in 2005 and has placed 13 No. 1 singles on the charts.